Frank Bakker and Evelien Roos give their first impressions of the Keynotes at Scrum Day Europe 2013. Yes, that was last year, I know. New, more current interviews are coming soon. In fact, this is the last episode in which I use interviews that were recorded last year. 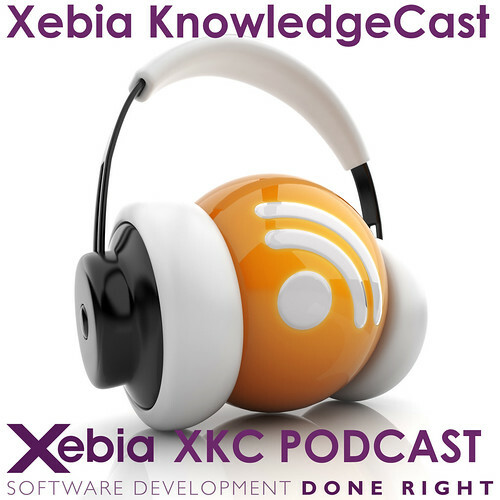 In this episode’s Fun With Stickies Serge Beaumont talks about hypothesis stories. Using those, ensures you keep your Agile really agile. A very relevant topic, in my opinion, and it jells nicely with my missing line of the Agile Manifesto: Experimentation over implementation! Adriaan de Jonge explains how automation in general, and test automation in particular, is useful for continuous delivery. He warns we should focus on the process and customer interaction, not the tool(s). That’s right before I can’t help myself and ask him which tool to use. Jeroen Leenarts talks about iOS development. Listening to the interview, which was recorded a year ago, it’s amazing to realize that, with the exception of iOS8 having come out in the mean time, all of Jeroen’s comments are as relevant today as they were last year. How’s that for a world class developer!